Start by moving your seat as far up as it will go and tilt the backrest as far forwards as possible. 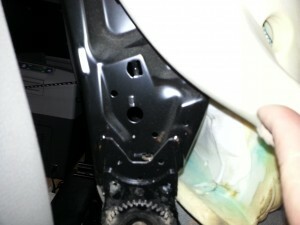 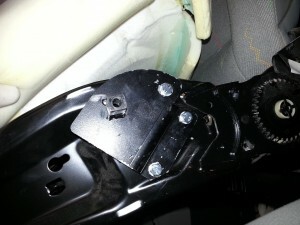 Now remove the 2 screws that hold the up/down adjuster on and remove the up/down handle. 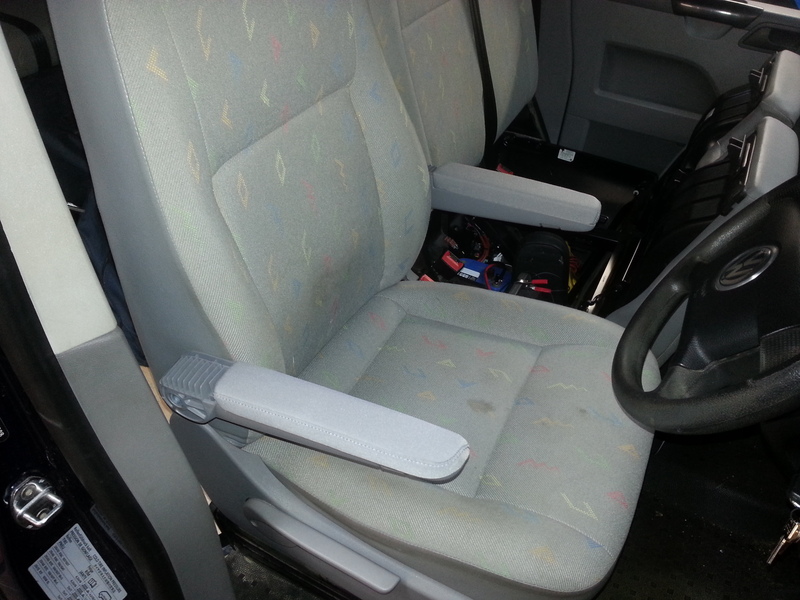 Now move to the back off the seat and pull the centre plastic trim towards the rear off the van working around each side pulling the trim away from the seat loosen the trims down each side but there no need to remove them. 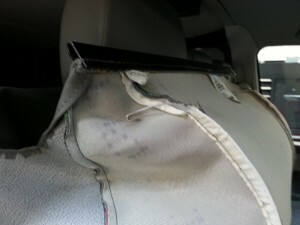 Now follow the rear fabric down to the bottom off the seat and you can feel a seam at the bottom, this seam is where the backrest cover joins. 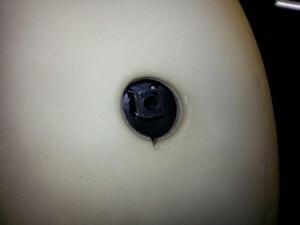 They use a U shaped channel section with a clip style fixing on the other side. 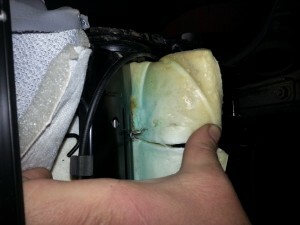 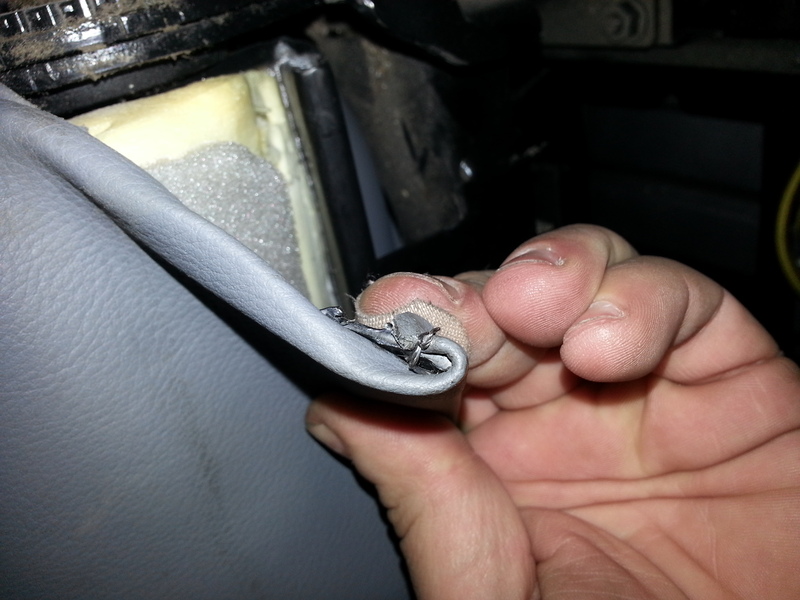 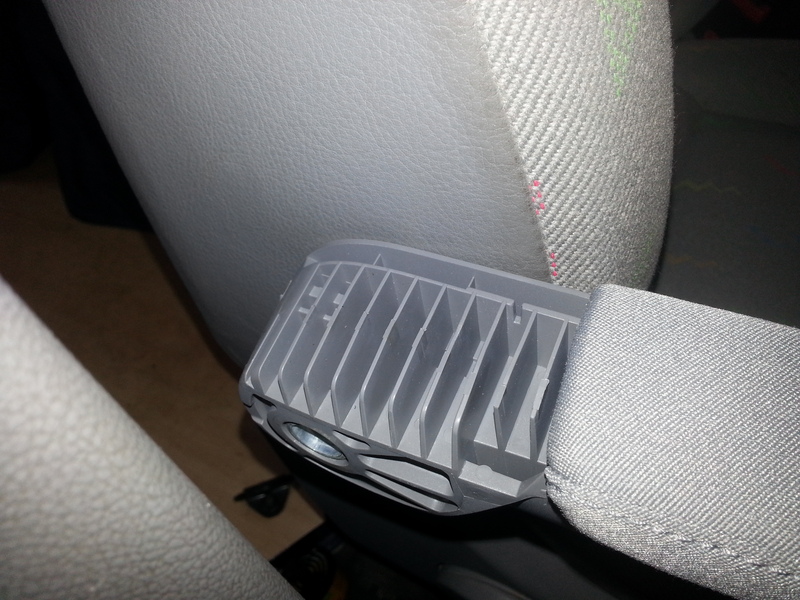 By sliding a screwdriver and with a lot off care open the channel and unclip the seat cover. Gently ease the cover up at the rear and about a 1/4 way from each side there a metal rod that clips into a hole – unclip these as these hold the cover tight to the foam. 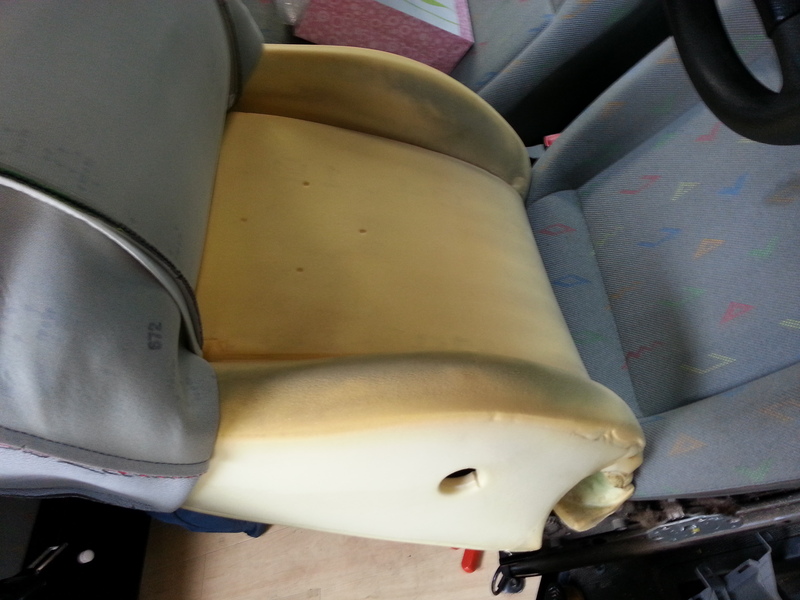 By lifting up each side off the cover you should be able to work the cover up the seat and give yourself access to armrest mounting points, move the foam and you should be able to see the the metal framework. 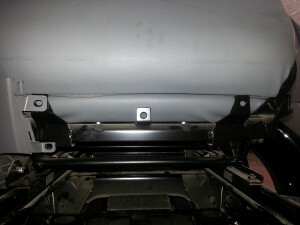 Offer up the brackets and make sure they line up with the holes. Now check the brackets fit into the armrests (On mine I found the long plane was too long and I had to sand them down a little) Once they all fit bolt the brakets to the seat frame and check the bolts are tight, Refit the foam support and check the square is in the hole. 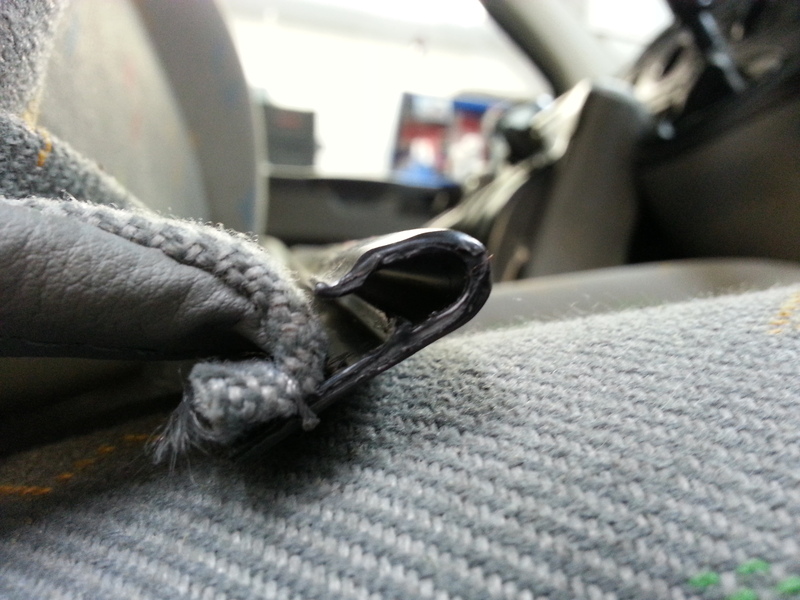 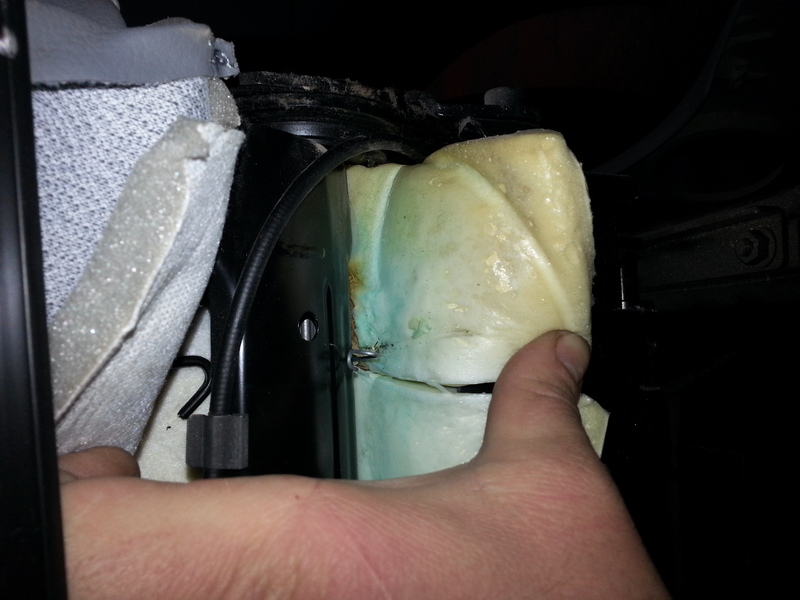 Now pull the seat cover back down and refit the 2 metal wires, Once they are fitted pull the seat cover down and check fitments if it all looks good refit the clip by folding the U channel back on itself and inserting the clip in. Now refit the trims and handles, Make sure the seat cover is nice and tight. 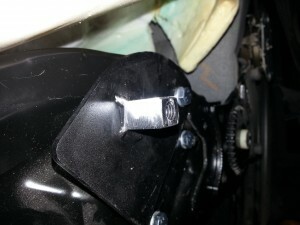 Using you fingers find the square through the cover and using a sharpe knife cut the square shape out. 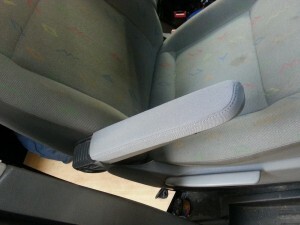 Now fit the arm rests using a 6mm Allen key and fit the cover and now enjoy your lovely new arm rests.